All surgery has risks, but you can do several things to lower your risk of complications and help yourself to recover well after your surgery. If you smoke, this is the perfect time to stop! By quitting you will reduce the risk of getting a chest infection and improve blood flow to any wounds. Good blood flow will reduce the chance of getting a wound infection and help the wound to heal. As well, stopping smoking is good for your long-term health. You will have less chance of having a heart attack, stroke and getting many types of cancer and you will have more money to spend. If you come for a pre-admission appointment at the hospital before your operation you will be offered nicotine replacement therapy, such as patches or gum. There are lots of resources to help you stop smoking on the page called How to become smokefree on HealthInfo. You can also get free help to stop smoking – including nicotine replacement therapy – from your practice nurse or pharmacist. Or see your GP to talk about other options. Keep as physically fit as you can. Try swimming or using an exercise bike if you have difficulty walking or running. The fitter you are the better your body will cope with the stress of having surgery. Make sure you eat a healthy balanced diet. Being overweight or underweight increases your chances of having complications from the anaesthetic and from the surgery. If you have high blood pressure or diabetes, make sure you have these under control. If they are not well-controlled your surgery may have to be delayed. Check with your GP, practice nurse or diabetes nurse. If you have anaemia (also called a low blood count or haemoglobin level) this may delay your surgery. Talk to your GP. If you have any medical condition that is not well controlled your surgery might be delayed. This especially applies to conditions that affect your heart or lungs. Talk to your GP about any condition you have. 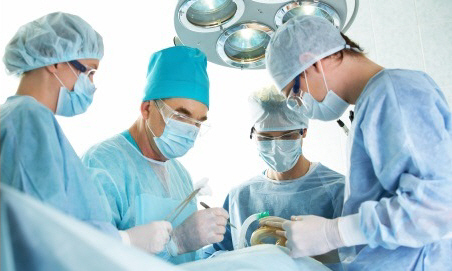 Once you have a date for surgery make sure you plan for when you get home again. Most patients spend only one to two nights in hospital after surgery, so think about what support you might need from family and friends. For example, will you need to move a bed? If there are any rugs you might trip on, remove them. Get some meals that you can just heat up and put them in the freezer or cupboards. Move anything you will need to a place you will be able to reach it. If you have any more questions about your surgery, talk to your GP or ask the nurse at your pre-surgery hospital appointment. Written by Anaesthetics Department, Burwood Hospital. Adapted by HealthInfo clinical advisers. Endorsed by Clinical Director of Surgical Services, Burwood Hospital, Canterbury DHB. Last reviewed February 2017.